The company brings froth an assorted range of Hardboard Sheets in the national as well as international market. We offer Hardboard Sheets of multiple types like Masonite Hardboard Sheets, Plain Hardboard Sheets, Oil Coated Hardboard sheets and Wax Coated Hardboard Sheets. 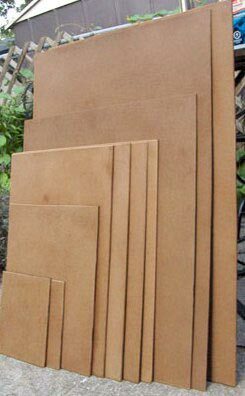 These Hardboard Sheets are made of high quality wooden Pulp and wood chips that give them durability and toughness. They are available in well sanded form on one side and mat finished on other. Further, we are one of the prominent Hardboard Sheets Importers in India.